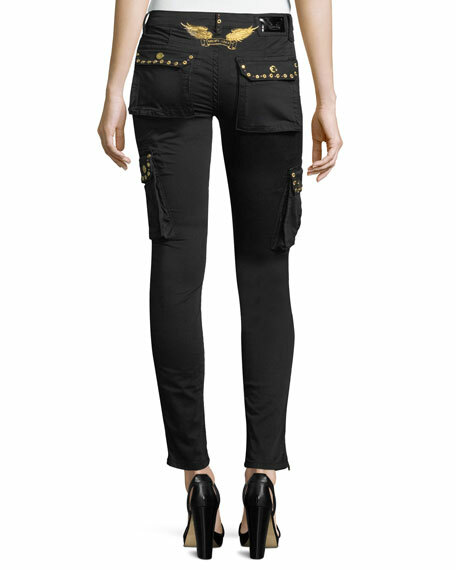 Robin's Jeans military-inspired pants with studded trim. Mid-rise; signature golden logo wings at back. 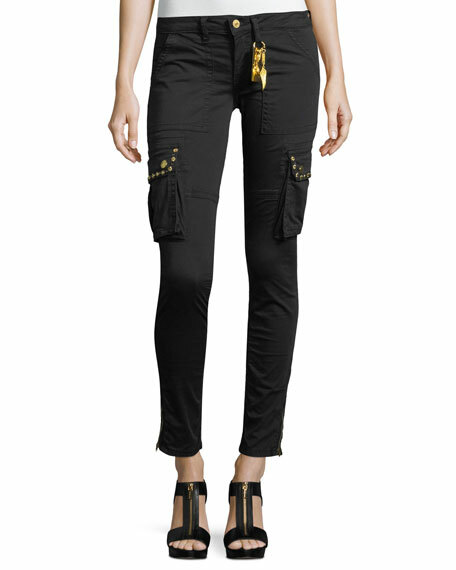 Side & back cargo pockets. For in-store inquiries, use sku #2357212. 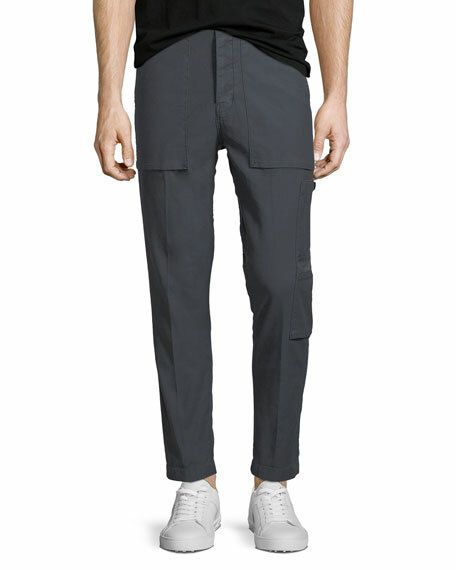 Helmut Lang pants in smooth cotton-blend. Mid-rise; flat front. 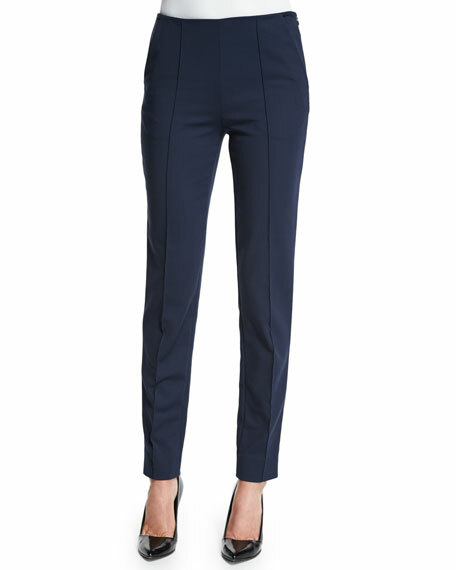 Side pockets; back welt pockets. Fitted through skinny legs. Side-split hem. Full length. Button/zip fly. Nylon/cotton/spandex. Dry clean. Made in Italy. 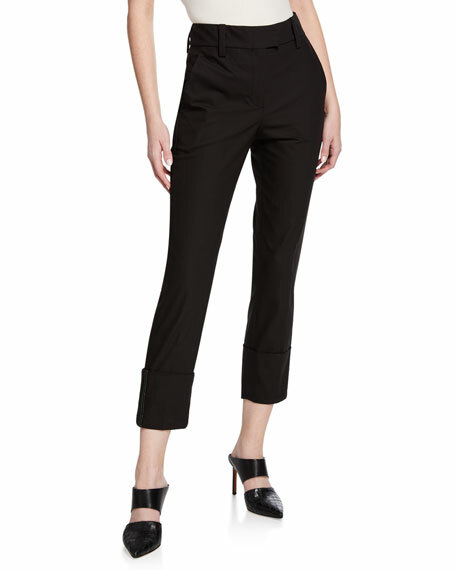 Jason Wu cotton-techno pants. Four-pocket style. Flat front; regular rise. Vertical seam from waist to hem. Skinny legs. Straight hem. Cotton/nylon/spandex. Imported of Italian material. 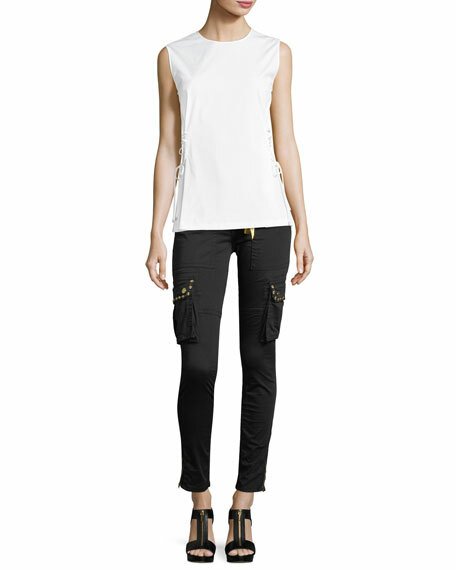 Model's measurements: Height 5'10"/177cm, bust 34"/86cm, waist 26"/66cm, hips 35.5"/90cm, dress size US 2.